You know that closet you keep meaning to tidy up? I grabbed a few minutes today to go through the blog rolls. Blog rolls are those little sections to the right, where we keep various links you might find useful. Bloggers come and go, and the food world on the Web changes and grows constantly. It was overdue for updating. In the top sections, I added more food Web sites that are worth visiting regularly. I check a list of 40 to 50 Web sites and blogs regularly (I'm very, very fast -- it's my old wire-editor training). Some tend to be more useful or interesting than others: Serious Eats, always a good daily stop, has added a separate web site for all things liquid, called Serious Eats: Drinks. CNN's food web site Eatocracy, helmed by Kat Kinsman and Charlotte native Sarah LaTrent, is a comer. The New York Times' blog, Diner's Journal, now runs daily links to food story (including a few of mine, a true honor). And the Atlanta Journal Constitution's blog reports on trends in that big city to our left. For local and Carolinas blogs, well, bloggers come and bloggers go. I try to keep a lively list of people who are sharing their food life in a relevant way. If I miss a good Charlotte- or Carolinas-based blog, let me know. There are rules, though: First, you have to post regularly, preferably at least once a month. Second, the blog can't just be a promotion for your business. We have a way to help businesses -- it's called "advertising" and without it, newspapers can't survive. Finally, if you ask me to link to your blog, you have to ask nicely. Seriously: I get grumpy when people ask me to link to them and they don't link back to me, or they want me to link to their blog that disses my paper. I do check on my links regularly. After all, it's my blog and I'll pry if I want to. I think that's it. Take a look around over there and let me know if there's something I should add. Happy reading. Struggling to cook for yourself in a serves-4 world? You're not alone. My column this week is about Joe Yonan's new book "Serve Yourself: Nightly Adventures in Cooking For One." 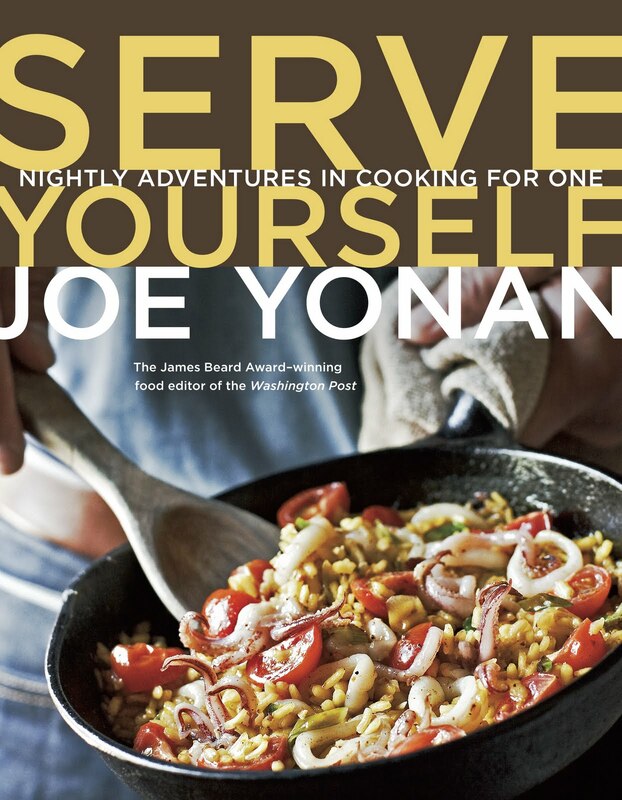 Yonan figured out the tricks for small-batch versions of things like risotto and paella. He's got small-batch salad dressings, and tricks for how to shop and how to store small amounts of food. Since he's a native of Texas, his tastes lean toward spicy and meaty dishes, including 2-serving enchiladas and a down-sized Bowl O'Red. But he also likes healthier dishes, including lots of whole-grain combinations. And he's big on making things on the weekend that you can use to jazz up even small meals during the week. As promised, I have a spare copy of the book to giveaway. To enter, send an email with "Serve Yourself" in the subject line to kpurvis@charlotteobserver.com. Deadline: 9 a.m. Friday, when I'll announce the winner. And here's a great recipe from "Serve Yourself." This one makes four servings, but you shape the meat loaves individually, so you can eat one and freeze three for later meals. Or invite someone over for dinner -- when you know how to cook, it's easy to make friends. From "Serve Yourself," by Joe Yonan (Ten Speed Press, $22). Preheat the oven to 350 degrees. Use nonstick cooking spray to lightly grease the insides of four (4- to 5-ounce) ramekins. Combine the beef, bread crumbs, egg, salsa, parsley, mustard, salt and pepper in a large bowl and mix until well incorporated. Divide the meat mixture into 4 equal portions. Form each into a ball, then lightly press them into the ramekins, leaving each with a domed top. Combine the jelly and hot pepper sauce in a microwave-safe container. Microwave on high (100%) power for about 30 seconds to soften the jelly. Whisk to form a glaze, then use a spoon to drizzle it on top of each meatloaf. There may be some glaze left over, which can be used to drizzle or brush on the baked meatloaf. Wrap 3 of the ramekins tightly in plastic wrap for freezing. Bake the remaining meatloaf for about 20 minutes, or until it is nicely growned on top and it's interior temperature registers at least 160 degrees on an instant-read thermometer. Cool slightly, then unmold and place on a plate, glazed side up. If desired, drizzle or brush the meatloaf with remaining glaze. NOTE: The unbaked meatloaves will freeze well for up to 1 month; defrost in the refrigerator before baking. Mast Farm Inn: Guess who's coming to dinner? 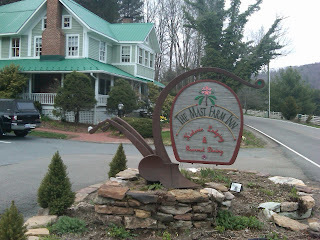 On a chilly, gray afternoon in the mountains, just pulling up to the Mast Farm Inn is welcoming. Smoke drifts from chimneys on the farm buildings all over the property, and the old farm house glows when the lights are on inside. Every year in March, I go to Valle Crucis for a church gathering at the Valle Crucis Conference Center, driving right by the Mast Farm. The inn restaurant, Simplicity, makes a point of using local food, much of it grown in the raised beds across the road, and I've heard good things about the quality. But my schedule always gets in my way. This time, I decided to get to my church retreat late (sorry, ladies) and stop for dinner at the inn. The inn is a full family affair, run by Sara Deschamps Siano and her chef sister, Danielle Deschamps with help from other family, including their parents, Henri and Marie-Henriette Deschamps. The menu is a set list of four courses for $37.50 (wine or beer from a small but well-chosen list is separate), and they'll tell you what they're serving when you call for a reservation. Here's one of the most welcoming touches I've ever gotten in a restaurant: Even though I knew they were serving cream of cauliflower soup, a stacked tomato and mozzarella salad topped with glazed puff pastry, braised short rib with baby vegetables, and desserts, I was handed a personalized menu when I sat down. "Kathleen X Brand Home-Baked Breads With 'Dear-Diary-Marion-Correctional-Is- Tough' Herb Butter now blended only with legal High Country Herbs from the Botanical Garden & DEA Helicopter Landing Pad." "The Mast & Kathleen's Braised Short Ribs Bathing in a Soup Made From a Cream of Mushrooms Topped With Locally Grown Red Potatoes, Purple Top Turnips and Carrots." "Kathleen X's Unlimited Edition Southern Desserts." And on and on in the same vein. How can a welcome like that not put you in a good mood? The food was creative and made good use of the limited palate of vegetables available that early in the spring. Dessert featured old favorites, including Friendship Cake made with brandied fruit and Hummingbird Cake, and a serving of housemade ice cream (coffee caramel chocolate chip). There are very happy people running this inn. And they made me very happy on a chilly, gray Friday night. Dean Cliver never expected to become famous as the man who saved wooden cutting boards. But that's science for you - you never know where it's going to take you. Working on this week's story about kitchen cleaning gave me an excuse to call lots of scientists. I always love those guys: People who spend their lives studying very small things that make you very sick are always a blast. Seriously. For instance, Doug Powell of Kansas State University founded a Web site called The Barf Blog . It's fascinating reading, if you have a strong stomach. Powell kept telling me the trick to understanding how to keep your kitchen safe is "be the bug -- think like the bug." Hard to do for the average person, but a fun game for a rainy Saturday night. I also talked to Cliver, a microbiologist at the University of California-Davis who is a legend in the food-safety world. Cliver is 76, but he's still studying the involvement of viruses in foodborne illness. His connection to cutting boards was an accident. 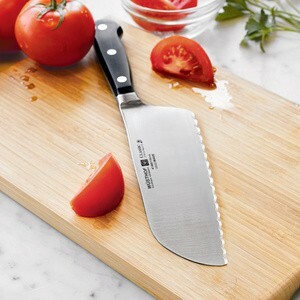 In the early 1990s, it was common wisdom that modern plastic cutting boards would be much cleaner than those scratched-up old wooden cutting boards that were standard in American kitchen. In 1993, a young woman from Turkey was at the university, looking for something to do while her husband was working on his PhD. So Cliver put her to work in the lab, running tests on wood and plastic boards to see which was most hospitable to bacteria. Everybody knew the answer, but in science, you check everything, right? "She came back and said, 'I must be doing something wrong. I can always get the bacteria back from the plastic but I can never get them back from the wood.'" She wasn't doing anything wrong at all: It turned out that microscopic knicks and cuts on plastic boards are great places for bacteria to thrive. But even if bacteria get down into cuts and cracks on the wood, they can't live there. The chemistry of the wood kills them. "Wood is the safety factor," Cliver told me. "If the food juice gets into wood pores, it doesn't come out alive." Cliver is still amused that he's the go-to guy on the subject. "My principle claim to fame has been viruses." He's been working on them since 1962, and he's finally being vindicated, he says. When he started, no one wanted to consider viruses. Now, scientists are starting to recognize that viruses play an even bigger role in foodborne illness than bacteria. "Noroviruses causes more illness than all the bacterial causes combined," he says. It takes a scientist to sound downright tickled about that. 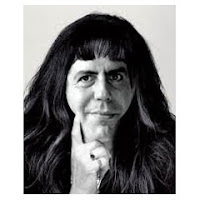 Do I need to explain the unholy alliance that is Ruth Bourdain? An anonymous creation of Twitter, @ruthbourdain is a bizarre (and always profane) mashup of the haiku-like food tweets of Ruth Reichl and the drug-crazed ramblings of Anthony Bourdain. Now, in one of the weirder signs of the new food-world zeitgeist, @ruthbourdain got nominated for a humor-writing award by the James Beard Foundation. The mysterious RB shares a few thoughts on that strange little hat trick here at CNN's food site, http://www.eatocracy.com/. And yes, the Beard nominations came out yesterday, bringing temporary joy to five chefs/restaurants/designers/book authors/journalists/broadcasters in each category -- at least until mid-May, when only one of each goes home with the heavy metal. Here's the full list of nominees. Here in the Carolinas, Beard nominees are Charlotte native James Villas for his book "Pig: King of the Southern Kitchen," (Books, American Cooking category); Charleston's Garden & Gun magazine for "The Southerner's Guide to Oysters," by Rick Bragg, Francine Maroukian and Robb Walsh (Journalism, Food Culture and Travel category); and Andrea Reusing, Lantern, Chapel Hill, John Fleer, Canyon Kitchen at Lonesome Valley, Cashiers, and Craig Deihl, Cypress, Charleston (Best Chef: Southeast). And Crook's Corner in Chapel Hill also is one of the five getting an America's Classics award. And finally, just for fun: Nate Silver in the New York Times has a delightful little piece on how to beat the high cost of salad bars. And on the Southeast posting board for Chowhound, there's a discussion on the best place to get lunch outside in uptown Charlotte. Could spring get any springier out there? That means it's almost time for PYO strawberries, followed by peaches, muscadines and right on through apples and pumpkins. If you're a farmer in Western or Piedmont N.C. with a Pick Your Own patch, please email your information to me at kpurvis@charlotteobserver.com Include a daytime number where I can reach you, picking hours, crops and prices if you have them. If you're looking for a place to pick your own food, stay tuned. Our annual list will go up online and in print on April 27. I'll be away from my post all next week for some time off. Before I go, it seems fitting to leave you with a few words about Irish coffee. Several years ago, I did a little research into Irish coffee. I started with the idea that too many bars muck it up. The worst sins: Canned whipped topping, a tiny straw for sipping, and shamrocks drizzled with green liqueur. The green liqueur thing is up to you and your conscience. Canned whipping topping is particularly horrible when you discover how easy it is to whip your own cream. And the tiny straw? It's a violation to the original intent of the drink. 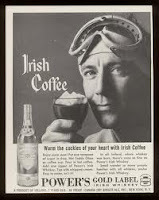 Irish coffee started at Foynes airport in Western Ireland in 1942. In those days, air travel from America was by seaplanes, which had to land on water. The whole process, including the landing at Foyne, was cold, wet and fairly miserable. So, to welcome and warm passengers, chef Joe Sheridan at Foynes came up with the idea of serving sweet coffee spiked with whiskey and topped with cream. It didn't hurt that the concoction looked a wee bit like a foam-topped Guinness. The idea of the cream on top was that you drank the hot coffee through it, which cooled and flavored it. Adding a straw might be a trifle less messy, but you miss the original effect. Irish coffee eventually traveled to America, where it became the specialty at Buena Vista Cafe in San Francisco. OK, enough history. When I wrote that story in 2007, I was forced to try a number of formulas for Irish Coffee. This was my favorite. I'll think of you when I have one Thursday and I hope you'll do the same. PLACE cream and granulated sugar in a mixing bowl. Whisk or beat with an electric mixer until it thickens and mounds softly when dropped from a spoon, but not until it forms soft peaks that stand up and curl over when the whisk is lifted. Set aside and keep cold. POUR hot water (from the tap is fine) into a heat-proof glass mug (one with a handle and stem is traditional). Let stand a minute to warm the glass, then empty it. PLACE brown sugar and whiskey in the warmed mug. Add coffee to about 1 inch from the top. Stir to combine. SPOON whipped cream on top until it reaches the top of the glass. Serve, sipping the coffee through the cream. Makes 1 serving, with enough cream to top several. As chocolate makers go, Barking Dog Chocolatiers is an odd company: They make chocolates that are served for dessert at the restaurant Bonterra in Dilworth, they sell chocolates and they donate all the profits to three charities (SupportWorks, founded by BD owner Joal Fischer, NC MedAssist, and Friendship Trays). But they don't do business in the conventional way. After I ran an item in the print paper about Barking Dog being features on the PBS/AARP show "My Generation," Joal called asking for a clarification. Sorry, Joal - your business is hard to explain. Anyway, trying one more time: Barking Dog Chocolatiers is owned by Fischer and his wife, retired botany professor Debbie Langsam. You can get Barking Dog chocolates for dessert at Bonterra. You can go to the web site, www.woofwoofwoof.org, to learn more about the company and see the list of chocolates they make and more about the charity thing. But you can't order chocolates on the web site or buy them at the restaurant. You have to call Fischer and Langsam, at 704-333-1595. Oh, and while some of their chocolates feature dog themes, they do not make pet treats. Clear as chocolate milk now, Joal? Meanwhile, on Charlie Sheen Watch, Grub Street also makes a connection to The Old North State by interviewing the owner of the N.C.-based HawaiianShavedIce.com (could I make this stuff up?) about the popularity of the flavor Tiger Blood, a mix of cherry, strawberry and watermelon syrups with a hint of coconut. Sheen, of course, was shown drinking Tiger Blood and waving a machete in one of his many taped rants. So far, there are no sightings of Sheen with Cheerwine. But if he gets hold of a SunDrop, I think it would be a good idea to duck. Who does the supper club thing? Food writer Andrea Weigl is looking for people who get together on a regular basis around the food and drink in a restaurant or home. If your supper club has an event this month, please let her know by emailing andrea.weigl@newsobserver.com or call 919-829-4848. Winter, spring, summer, fall and "taunt." Taunt floats around, showing up between the other, better established seasons. It's that season when you think summer has given way to fall, so you unpack the heavy clothes. Then you spend the next three week digging in your closet for anything not made of wool. It's those strange stretches of days when the calendar says it's time to eat pot roast, but the summer crickets are still raising a ruckus under your kitchen window. Taunt doesn't have simple symbols, like the snowflakes that decorate Christmas cards or the squashes and pumpkins on calendar pages in October. You only know taunt when you're in it. Taunt really cranks up in March. One day, it feels like it's time to brush fallen leaves off the grill. The next, it's too cold for anything that doesn't involve a slow cooker. When the sun comes out, we have soft green grass and freshly sprouted daffodil stalks. When it changes its mind and ducks back behind the clouds, we have bare tree limbs and mud. I can't fight taunt in March any more than I can fight summer in August. All I can do is lay still in the night, listening to the weather change yet again, and start listing all the things I'm ready to do. I'm ready to snap the woody ends off asparagus. I'm ready for roasted asparagus drizzled with sesame oil and asparagus omelets. I'm ready to save up a bag of the snapped-off ends, to simmer them in chicken broth, puree them and strain them to make a bowl of pale green asparagus soup with a little cream. 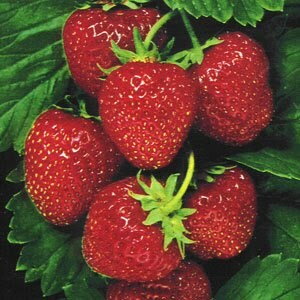 I'm ready to trim the leafy tops from endless trays of strawberries. I'm ready for slices of pound cake topped with sugared strawberries, for smoothies made with frozen strawberries I picked myself, and spinach salads tossed with strawberries. I'm ready for lettuce so tender, it feels like eating silk, and the brief appearance of sugar snap peas that don't come from a bag in the freezer. I'm ready for mint, to toss with a little butter for a sauce on those peas, for glasses of iced tea and for an occasional julep to celebrate finishing a Saturday of yard work. I'm ready for the tarragon I plant every year, even though I know it won't make it through July, and for long sprigs of thyme to strew over roasted vegetables, and tiny leaves of thyme to whisk into vinaigrettes. I'm ready for spring onions and new chives, and that juicy, fresh-pulled garlic that hasn't been dried for long storage. I'm ready for salmon on the grill, and the chance to sit out on the patio while it cooks without fighting mosquitoes and humidity. I'm not ready for mosquitoes and humidity yet. I'm not ready for tomatoes and corn, for peppers and peaches, for green beans and broccoli and slices of melon at breakfast every morning. Not yet, anyway. Those are coming, in their season. This is just taunt. The season to wait. Why is it good news that Continental will no longer serve complimentary pretzels? Because I had just finished reading this report on all the bacteria crawling in those tiny little airplane lavatories. Seriously, do you want to put food in your mouth on board a plane? Pack hygiene wipes. Lots and lots of wipes. Wow, the copy of Mark Bittman's "The Food Matters Cookbook" was a very popular giveaway. I got a fat fistful of entries in just a couple of days. When I ran the numbers through the Random Number Generator at www.random.org, Ann Ketchie of Concord was the winner. Congratulations, Ann. And for all the Bittman fans who wrote in, he's now doing a new writing gig as an op-ed columnist on food policy. Here's a link to his most recent column, on the good/bad of farm crop subsidies. If you're a fan of New York Times columnist Mark Bittman, you know he never does anything small. After all, this is the guy who wrote a cookbook called "How To Cook Everything," and it pretty much covers exactly that. This is the same guy who made a tradition of his 101 stories for the Times, like 101 things to cook on the grill. Seriously, does the man ever not know what he's making for dinner? If you're trying to reduce the role of meat in your diet, Bittman is your guy. He recently stepped down from writing his Times food column, The Minimalist, to turn his attention to writing op-ed pieces about food policy and how we ought to improve the nation's food supply. He's also starting a new food column soon with the Times' Sunday magazine. If you read our story about flexitarians, you read a little about Bittman's newest cookbook, "The Food Matters Cookbook." It has 500 recipes that will help you improve your culinary life. It's not completely meatless, but many of the dishes have no meat and all of them reduce the role of meat. I've got an extra copy to give away. If you want to enter your name in a random drawing, email me at kpurvis@charlotteobserver.com with "Mark Bittman" in the subject line. In the meantime, here's one more recipe from the book to whet your appetite. From "The Food Matters Cookbook," by Mark Bittman (Simon & Schuster, 2010). Heat the oven to 400 degrees. Grease a 9-inch-square baking dish with a little oil. Bring a large pot of water to a boil and salt it. Put the stock with the bay leaves in a small saucepan over medium-low heat. When small bubbles appear along the sides, about 5 minutes later, turn off the heat and let stand. Cook the cauliflower in the boiling water until very tender, 20 to 25 minutes. Scoop the cauliflower out of the water with a slotted spoon and transfer it to a blender or food processor. Add the pasta to the boiling water and cook until somewhat chalky inside and not yet edible, about 5 minutes. Drain it, rinse it quickly to stop the cooking and put it in the prepared baking dish. Sprinkle the top with the Parmesan and bread crumbs if you're using them. Bake until the pasta is bubbling and the crumbs turn brown, 15 to 20 minutes. Serve hot.
. You can sort of share his taste between now and April 9 at Laurel Market in Charlotte, 114 Cherokee Road. Kwon designed (by email exchanges with the owner) three sandwiches. Order one and you get entered in a drawing for a pair of tickets to the Avett Brothers' show at Bojangles Coliseum April 9. Breakfast sandwich: 2 eggs over medium, tomato, avocado, bibb lettuce and spicy mustard on toasted sourdough (yes, that sounds like a band on tour breakfast all right). That one's $4.95. Sandwich 2: Genoa salami, pastrami, mayonnaise, jalapeno, sweet pickle, cucumber, red onion and cilantro on baguette, $6.75. Sandwich 3: Proscuitto, fresh mozzarella, basil and horseradish sauce on cranberry walnut bread, $6.95. You also can get the sandwiches at Laurel Market South, 1515 South Blvd.